Hold onto your hats, folks, this one's truly epic! For our latest competition, we've teamed up with EVGA to give you the chance to bag an award-winning SC17 Gaming Laptop! Touting a 4K IPS display, a quad-core Intel Core i7 processor, GeForce GTX 980M graphics, an NVMe M.2 SSD and 32GB of DDR4 memory, the SC17 is one of the most powerful laptops around and is worth £2,350 at retail! An incredible prize, we're sure you'll agree, so what are you waiting for? All you need to do to enter this amazing competition is answer the following simple question. And don't forget, you can also claim a free second entry via Facebook to increase your chances! The competition winner will be picked at random from all eligible entries that arrive by midnight of the closing date, June 10, 2016. The winners will be notified via email by June 17, 2016. The winner must claim their prize within 7 days of the promoter sending notification. If the prize is unclaimed after this time, HEXUS reserves the right to offer the unclaimed prize to a substitute winner selected in accordance with these rules. 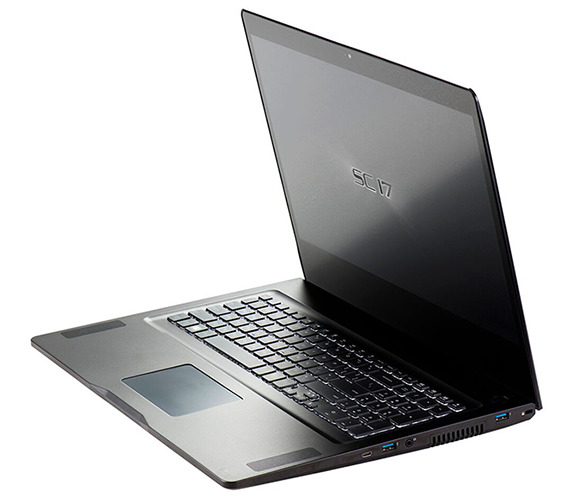 The prize is a UK-specification EVGA SC17 Gaming Laptop. Entered and crossing my fingers. THANKS Evga and Hexus for the offer, the EVGA SC17 has a beautiful slim design yet parking serious high performance hardware and for the most part it is light at only 3.69 Kilograms.